The brand new Abbey Sands luxury mixed use development has brought a new glow to the Torquay waterfront – but its residents are also glowing – because of some superb energy efficient designer radiators from leading radiator manufacturer Stelrad – selected to share the heat in the new building. 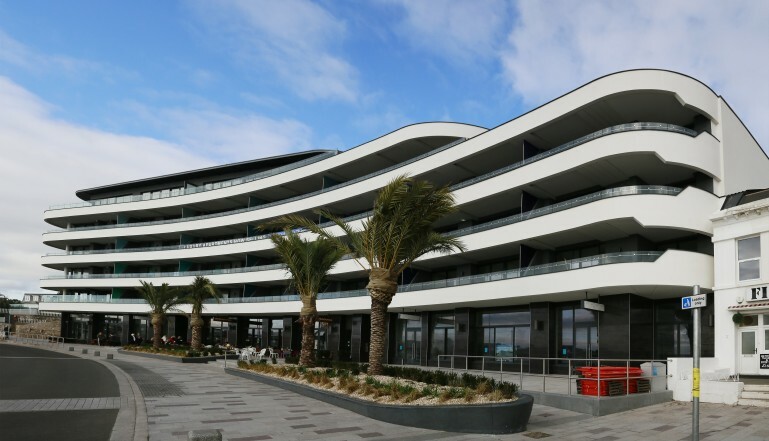 Designed by Kay Elliott Architects for Wiltshire-based developer Havard Estates, Abbey Sands has been built on the site of the former Palm Court Hotel. The development consists of twenty seven apartments, a coffee shop and 3 restaurants. Abbey Sands, is a stunning new 4500m2 luxury mixed usedevelopment on the English Riviera. The six-storey scheme is situated on a prominent waterfront location in central Torquay with views across the bay towards Berry Head. The design is influenced by the art-deco style of the British seaside, and presents a contemporary interpretation of the ‘Riviera style.’ The development is the result of significant commitment from Havard Estates which has recognised and encouraged the potential of this idyllic site and the design potential for maximising on the landmark nature of this exciting new development. Abbey Sands was recently awarded Best Mixed Use Development in the UK for 2014-2015 at the UK Property Awards. Plymouth-based ECS – Electrical Contracting Services – was the M & E contractor on the project, and through careful negotiations with the main contractor ECS was able to value engineer the project, maintaining the high standards set by the architects throughout the development. 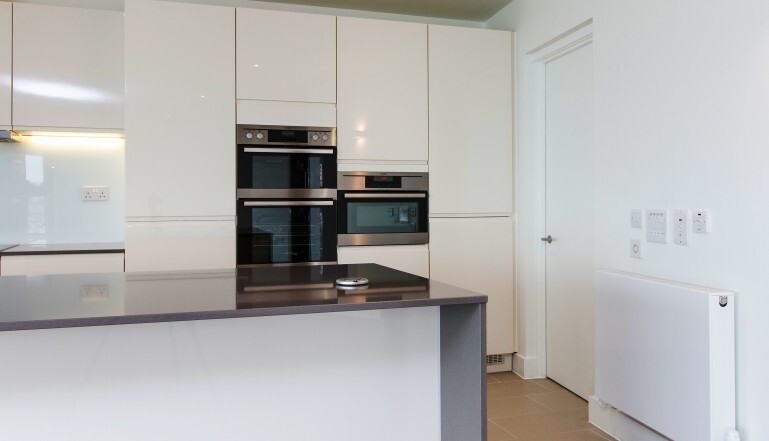 The first and second floors of this prestigious development will accommodate 5 star, luxury self-catering apartments with sea views across Torbay. On the third and fourth floors there are twelve modern, 2 and 3 bedroom apartments whilst on the top floor are two large luxury penthouses with breath-taking views over the bay. The interiors, which were also designed by Kay Elliott, feature the very best in contemporary interior design. Detail is key which is where the use of designer radiators to provide the heating for the development comes in. Despite its sunny aspect and warmth in the summer months, the south Devon coast can be very cool in the colder months and a first class heating system was always going to be essential. Stelrad’s Planar designer radiator is a stylish, understated, completely flat, smooth fronted, slim profile radiator model, that has won a legion of fans in the interior decorating and architectural sectors. The range includes lengths up to three metres and heights up to 700mm – the largest radiator in the Planar range now delivers 16,726 Btu/hr (Dt50). Planar is available in five heights – 300mm, 400mm, 500mm, 600mm and 700mm – and multiple length options from 400mm to 3,000mm. It’s available as a single K1 (Type 11) or a double K2 (Type 22) and is now available in an amazing 100 SKUs and 12 vertical options. The Planar vertical range has added significantly to the appeal of this excellent design, allowing it to provide more heat from a narrower radiator footprint, making it a favourite across the UK. Full details of the Stelrad range of designer radiators can be seen at stelrad.com, you can call for brochures and information on 0844 543 6200 or email marketing@stelrad.com . You can follow Stelrad on Twitter @Stelrad or on Facebook at www.facebook.com/StelradLimited. The Abbey Sands development on the Torquay seafront. 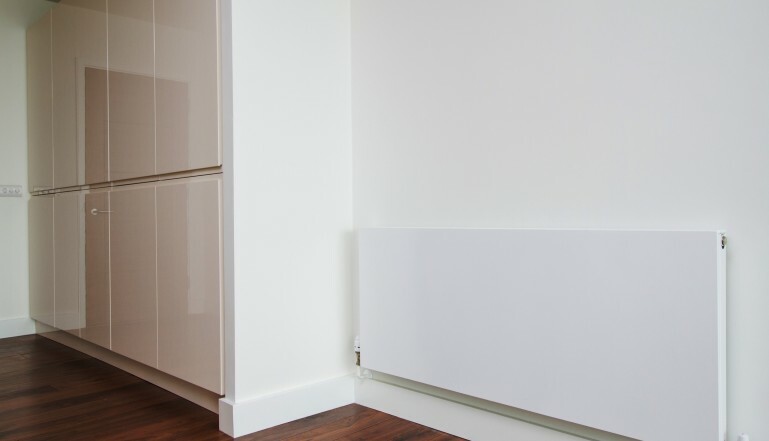 Stelrad Planar radiators add that extra style to the apartments in this excellent development. In the bedrooms and living rooms, and even in the high spec kitchens, Planar is a focal point - so much more than a functional heating appliance.